Torr a' Chaisteal Dun. Near Corriecravie, Isle of Arran, North Ayrshire, Scotland. Celtic Britain published by Orion. Natural knoll was first fortified 1,800 years ago. 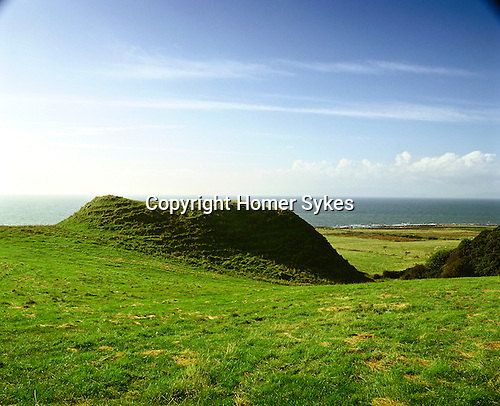 The square top contains a three metre thick circular stone wall of a ruined dun.